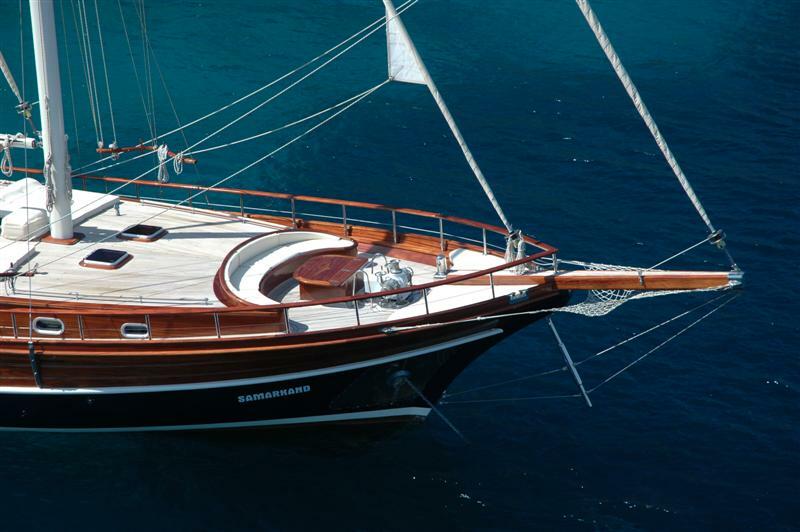 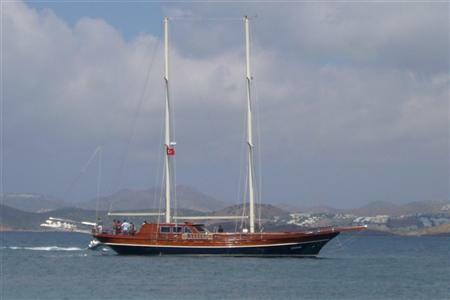 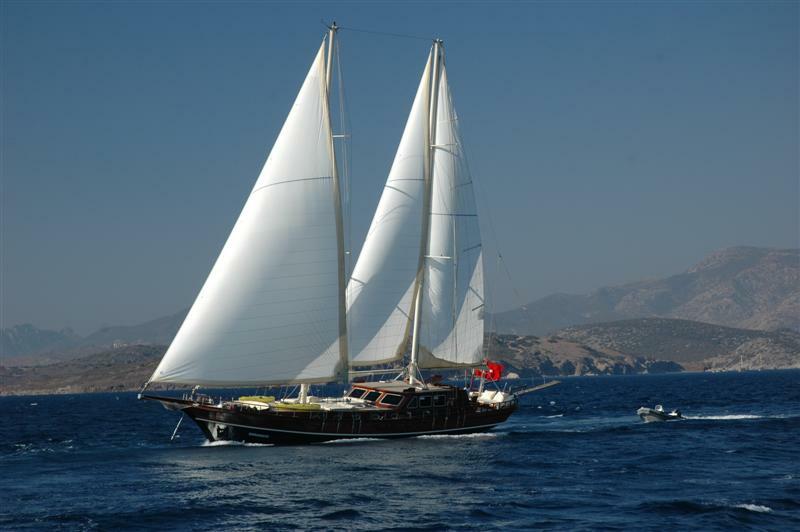 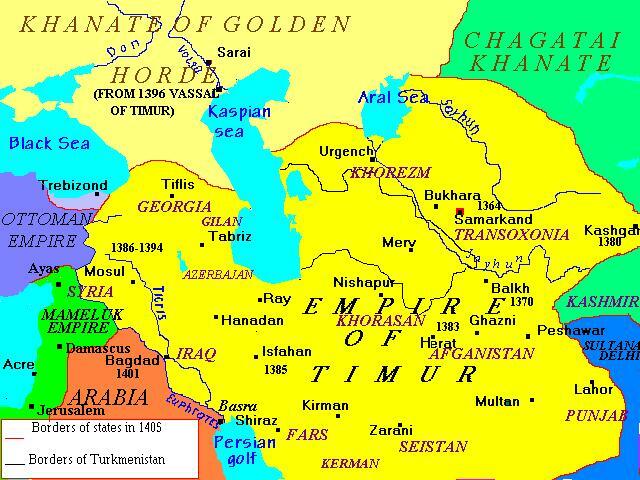 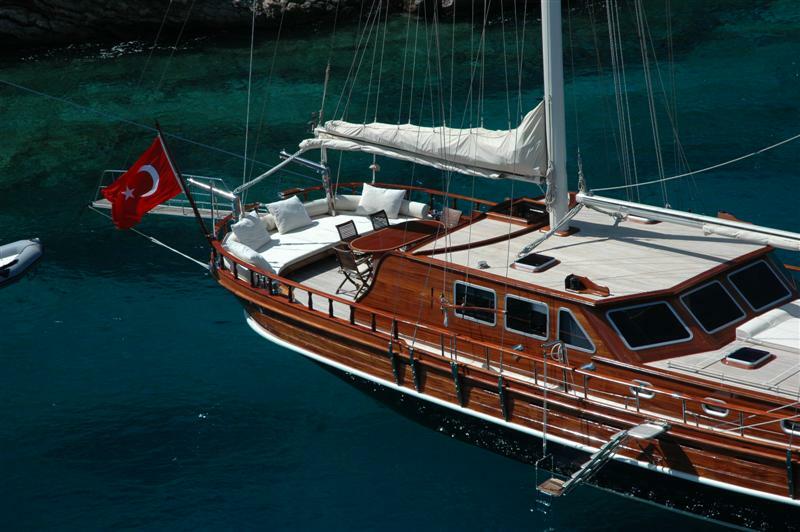 Schooner-rigged Samarkand was built for exploring Turkey and Greece. 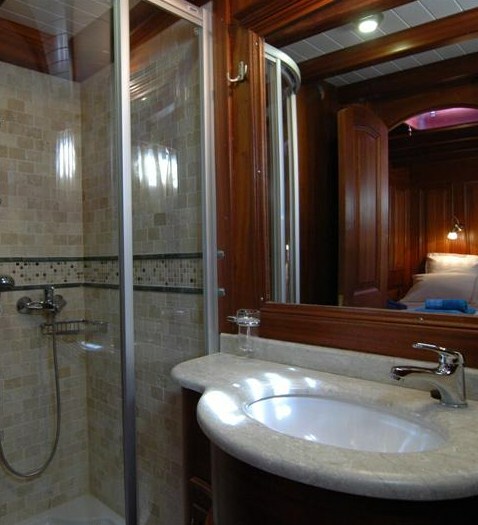 87-feet in overall length, this handsome luxury yacht has two double and two twin cabins each with its own tiled bathroom. 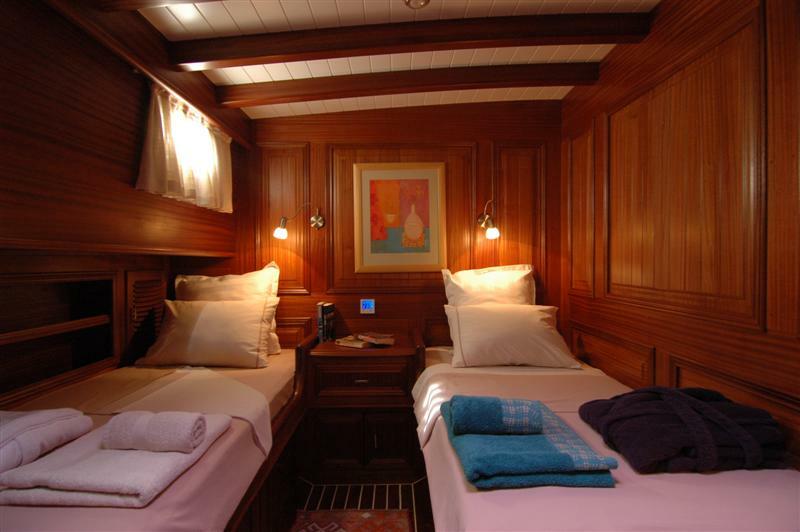 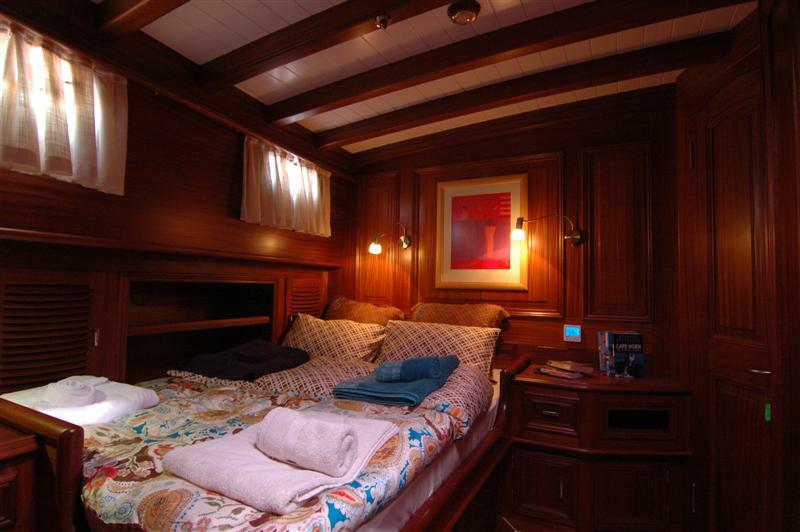 She is air-conditioned throughout and each cabin is isolated within bulkheads of solid mahogany. 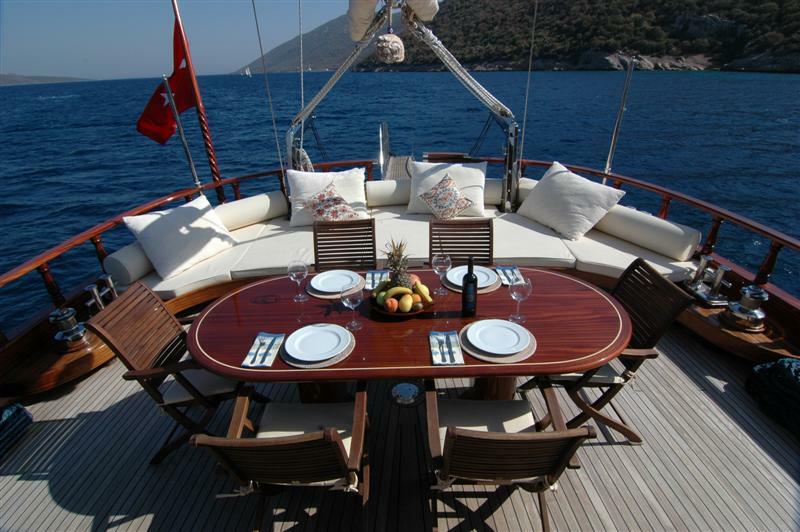 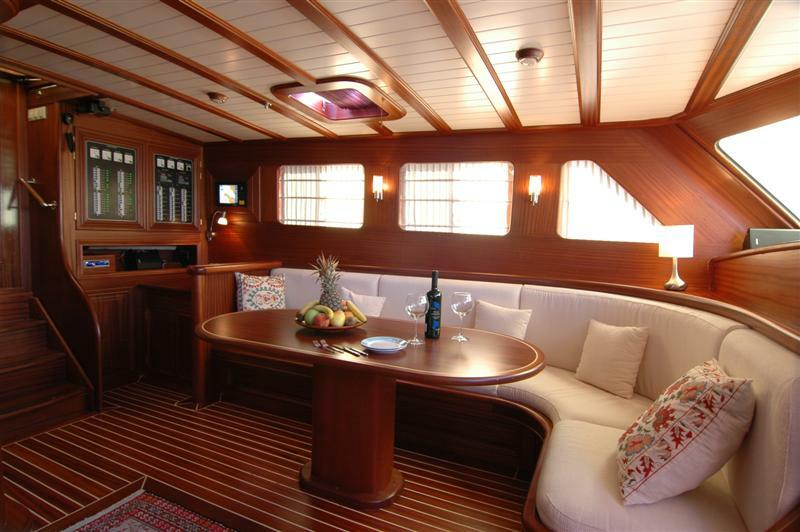 The accommodating teak deck has lounging and shaded dining areas forward and aft.